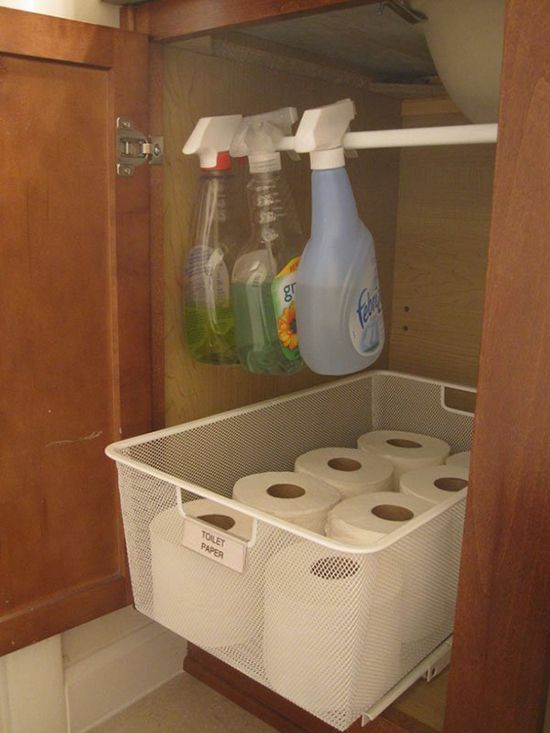 20 Handy Bathroom Storage HacksSave your bathroom! With all the mess in your bathroom, don’t you just wish you had a bigger bathroom space? 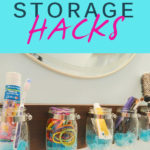 If sadly you can’t expand and remodel your bathroom so your personal stuff can fit in, we’ve got 20 of the most handy bathroom storage hacks that will save your life. 1. 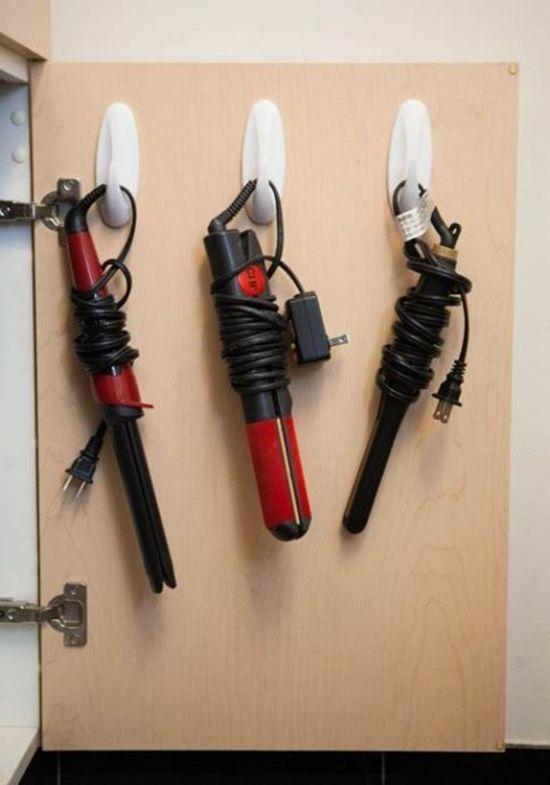 Using hooks to hang your hair straighteners is not only convenient, it’s awesome! 2. 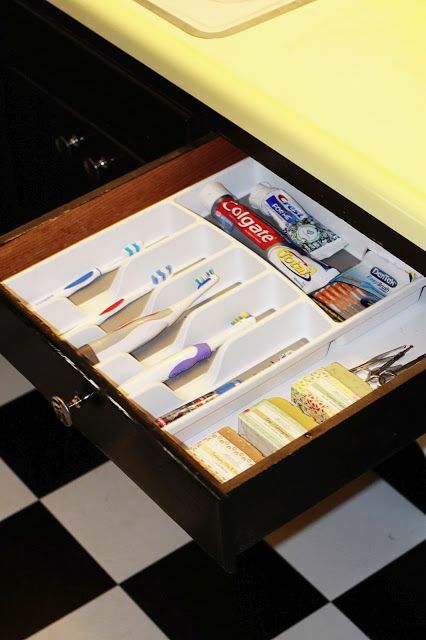 Keep your toothbrushes in one place in your bathroom drawer neat and clean…and nice! 3. 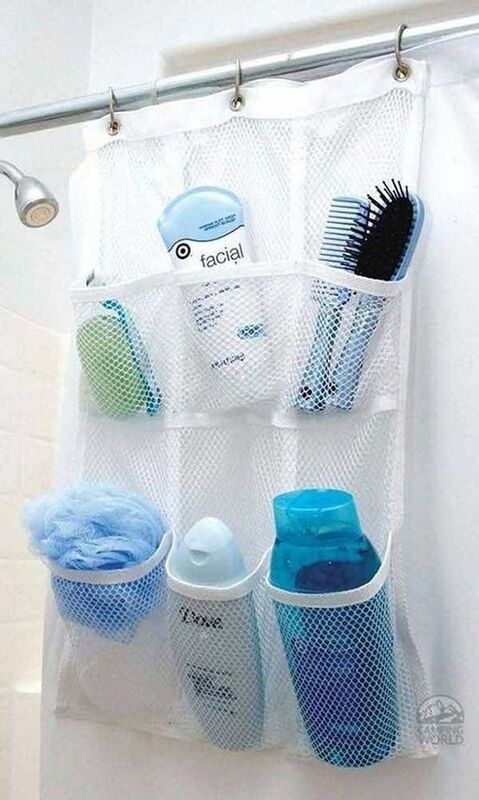 Use a shoe organiser to put all your bathroom essentials. 4. 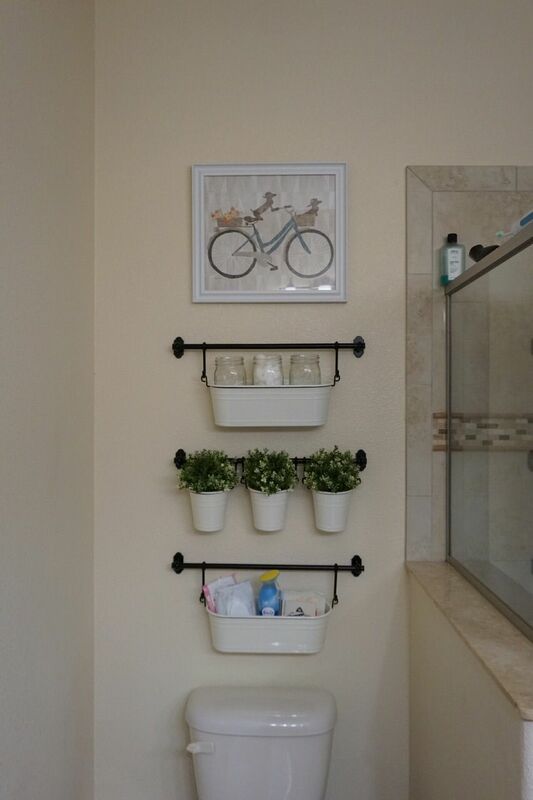 Bar handles are great for hanging your bathroom cleaning sprays. 5. 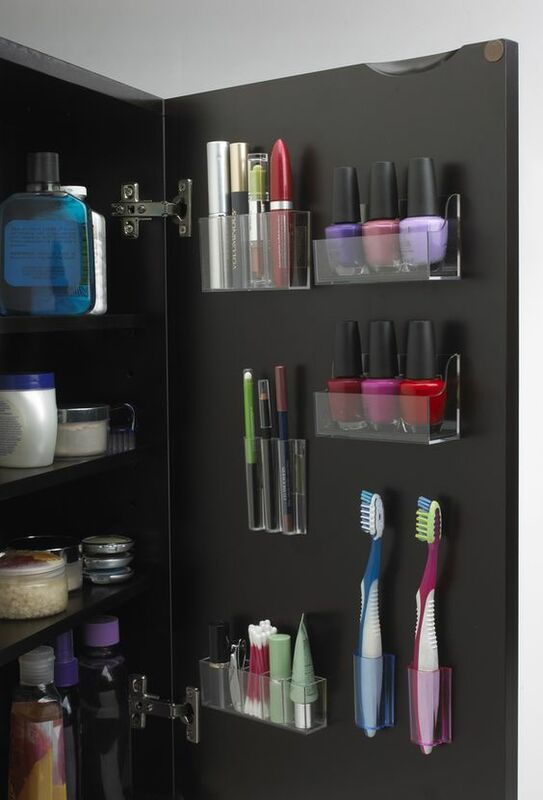 Place acrylic containers at the back of your bathroom cabinet doors for a more organised (and elegant) look. 6. 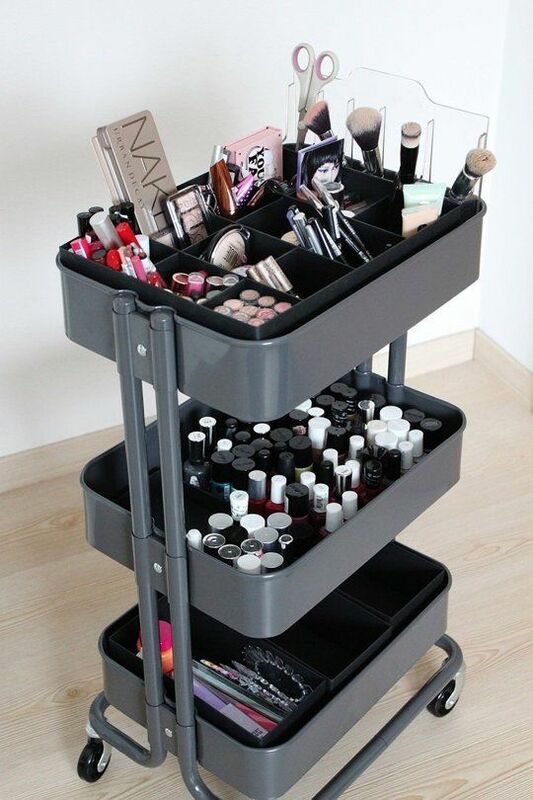 Organise your bathroom cart this way for easy handling. 7. 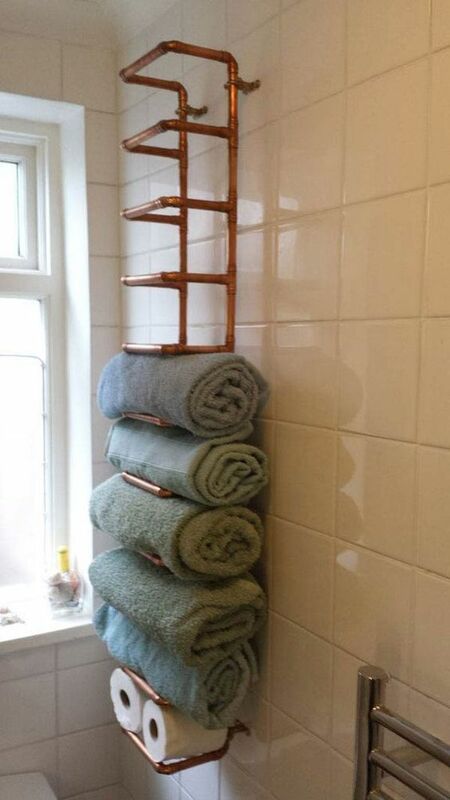 Keep your bath towels and toilet rolls organised in this ladder-type rack. 8. 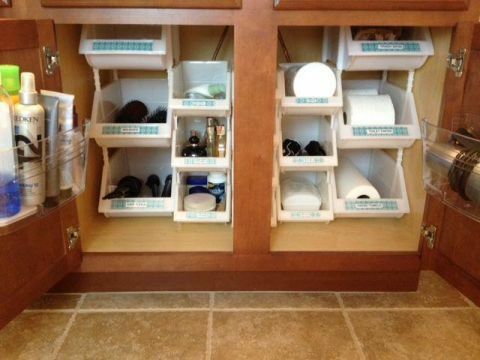 Put your personal stuff in shelves inside your bathroom cabinet so you’ll know where everything is. 9. 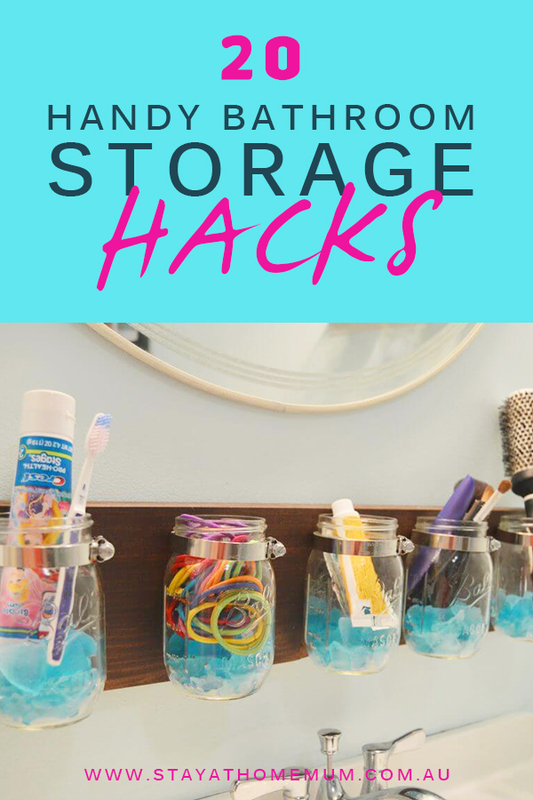 When you’re out of space horizontally, take it vertically! 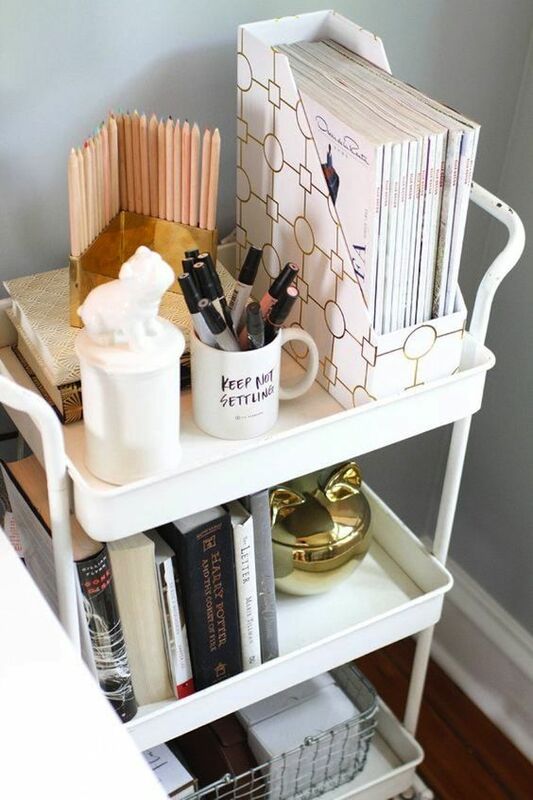 This space-saving makeup storage hack is pure genius! 10. Two-tier trays are not only great on your dinner table, it can keep your bathroom organised too. 11. 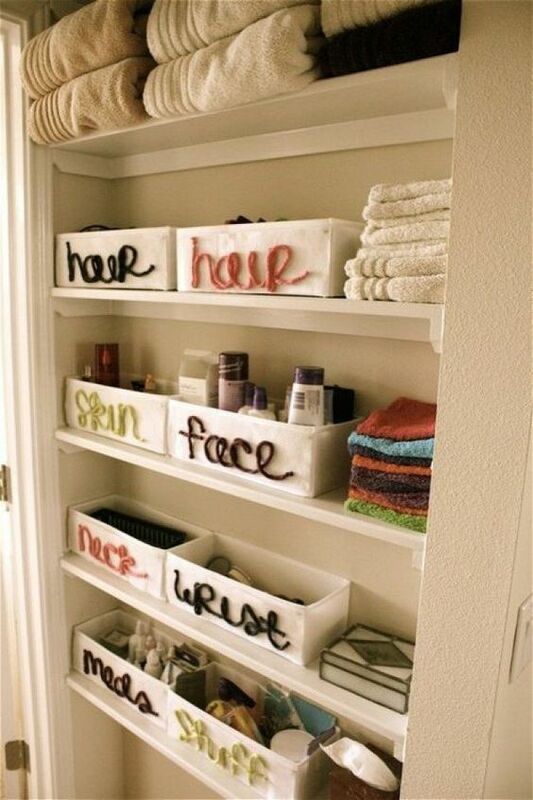 Pails and buckets arranged like this would look cool in your bathroom. 12. What can a caddy not do! Caddies are truly heaven sent! 13. 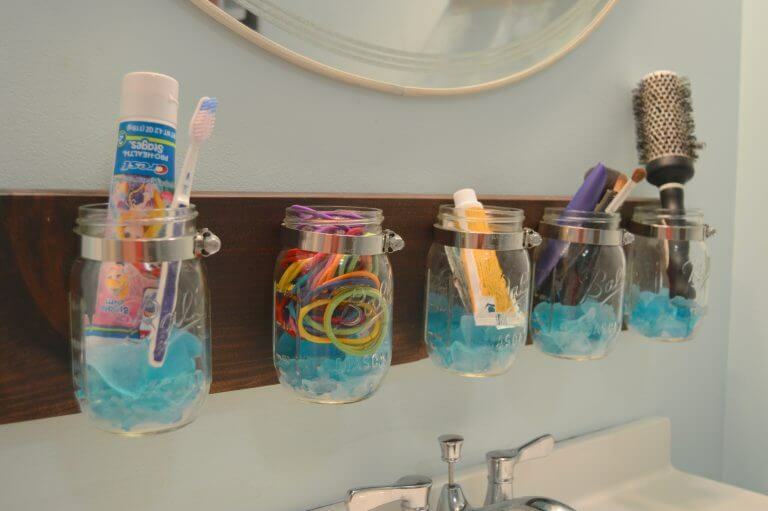 Use clear mason jars hung above your bathroom sink for your personal stuff. 15. 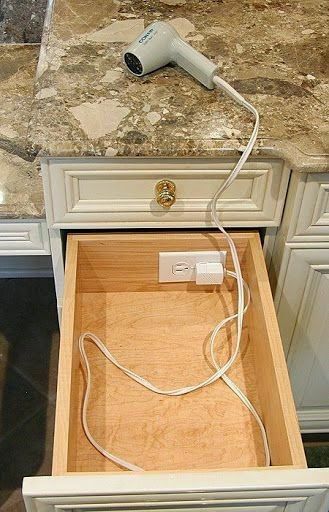 Keep your blower and the socket where to plug it in in one place! Winning! 16. 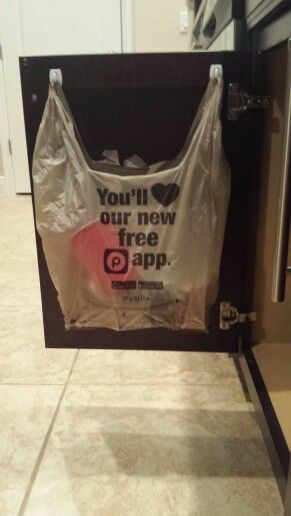 Keep trash out of sight by placing a plastic bag hung inside your bathroom cabinet. 17. 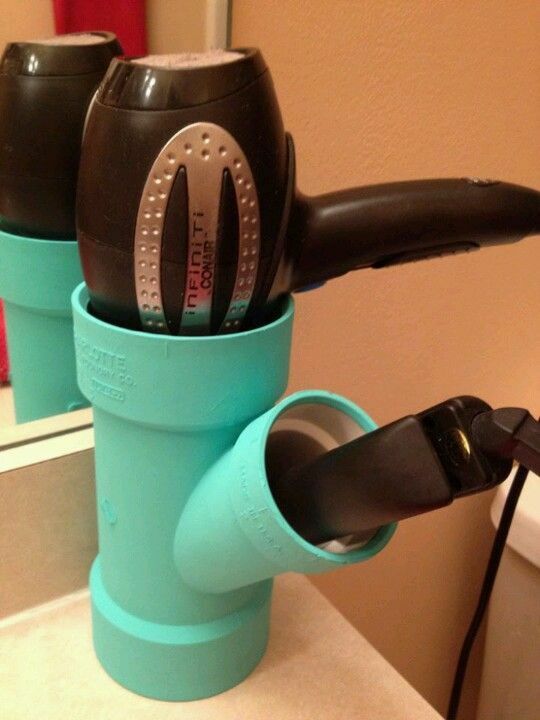 Mounted PVC pipes serve a great purpose in the bathroom too with this cheap and clever trick. 18. 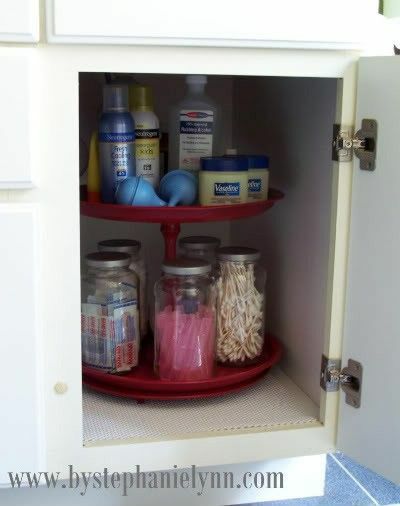 Keep things in containers with labels for easy storage. 19. 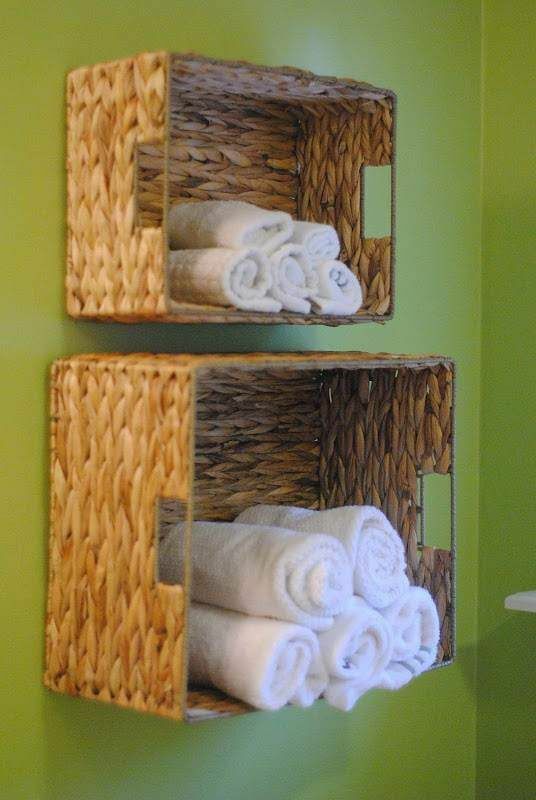 Place baskets sideways for an amazing space-saving technique for your towels, plus it’s decorative too! 20. 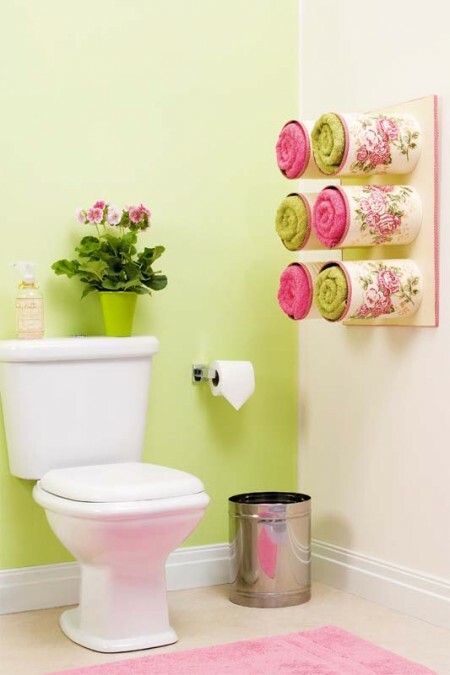 Save those pretty canisters where you can put your bath towels. Cute! 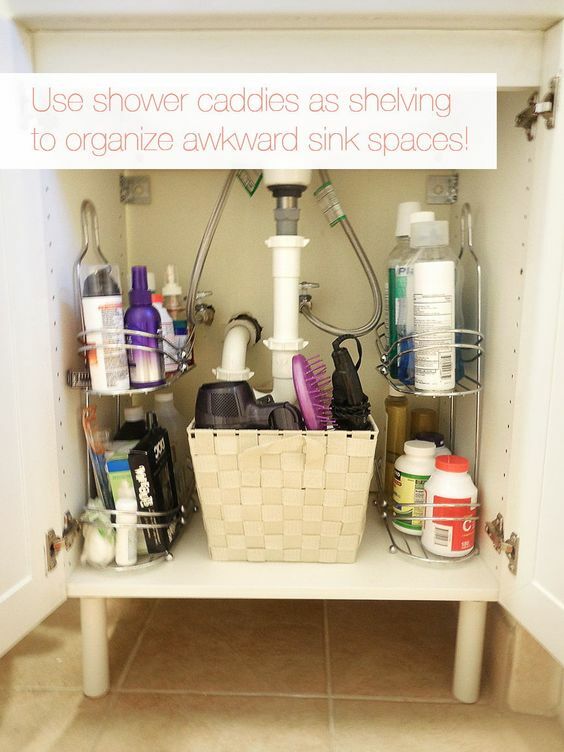 Have you got other bathrooms storage hacks?